Wherever you work, the Samsung SF-760P multifunction printer has the design features and technology to help you work more efficiently and cost-effectively. Compact design means you can get all these benefits, even if space is at a premium. With 4-in-1 versatility, the Samsung SF-760P printer streamlines workflow and ensures that the office print operation is working as efficient as possible. 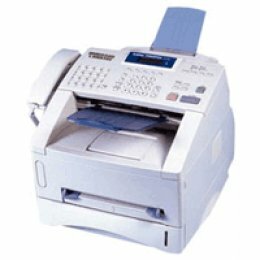 With print, copy, scan and fax functionality, the SF-760P offers flexibility and lets you work with less barriers. A host of innovative features ensure that your workforce has the necessary functionality needed to thrive in the modern world of business. 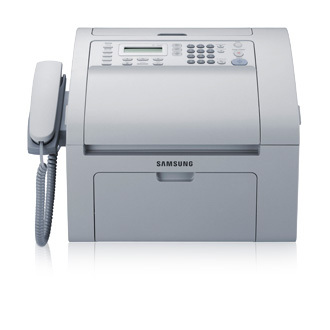 The Samsung SF-760P is designed to deliver fast and efficient fax communication. The controls include 20 assignable instant dialing buttons, and you can store as many as 200 frequently used numbers for speed dialing. When you need to send documents to multiple locations you can use the SF-760P to store up to 209 contacts, in up to 100 separate groups or lists for group dialing. An additional 9 contact numbers can also be stored in the memory and all of the contacts can receive the same fax message by using the machine’s Multi Send feature. Now you can send numerous fax messages to numerous contacts as often as you like! Once again Samsung simplifies your complex life with a fax machine that is quick, easy, and efficient. The Delay Send button on the control panel stores documents in the memory, and allows you to send them during a predefined time period when off-peak call charges apply – allowing you to make significant savings on your phone bill. With Samsung’s faster printing speed of 20 pages per minute, you can minimise time wasted hanging around the printer. The enhanced printer performance will streamline workflows and let employees, and businesses, reach their full potential. A 33.6Kbps modem speed makes for fast communication and enhanced efficiency. What’s more, 8MB of memory on both models means that you can store up to 600 pages of information. With the growing demand for more space efficient office equipment, the Samsung Monochrome Laser Fax/Multifunction Printer SF-760P is a perfect choice. This compact multifunction printer delivers the standard in premium printing service without the excess of unwanted size. Small to medium businesses and home offices will find this printer ideal. And because it is so compact in design, it adds to its portability. So, save space and hassle with the Samsung Monochrome Laser Fax/Multifunction Printer SF-760P and its contemporary compact design. If you need to make an impression, nothing shows professionalism like the stunning 1200 x 1200 dpi clarity produced by the Samsung Monochrome Laser Fax/Multifunction Printer SF-760P. High resolution printing of this caliber ensures that important print-outs, like work presentations and reports, are sharp and impressive. So, give your operation every chance of making a good impression with high resolution printing.